Head over to get this Paw Patrol Roll Patrol – Rubble’s Mountain Rescue Track Set for ONLY $19.98 (Retail $39.99)! 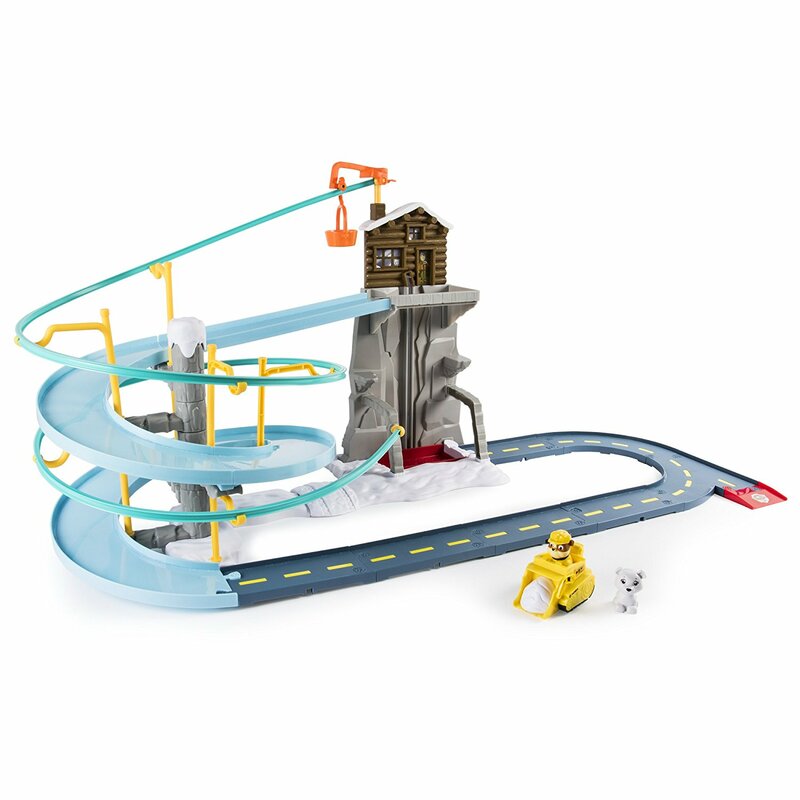 Build your very own Adventure Bay rescue with the Paw Patrol Rubble’s Mountain Rescue Track Set. Experience the fun of a true Paw Patrol rescue mission with a Mountain Rescue that features Rubble’s bulldozer and Baby Polar Bear mini figure! Lift Rubble in his bulldozer up the elevator to reach the cabin at the top of the mountain. Push back the lever on top of the cabin to release the basket with Baby Polar Bear, and tilt the ramp to launch Rubble as they both spin down the spiral slide! Race down with Rubble to rescue Baby Polar Bear! Build and customize the world of Adventure Bay with other Roll Patrol Track Sets (sold separately) for even more PAW racer fun!